The Ryzen R7 1700 is a good processor for gaming and an excellent option for editing and rendering. Here are the parts we’d choose if you’ve got a budget of around $1,000 for your build. 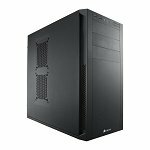 Looking for a good $1,000 budget AMD Ryzen PC build to use for editing and gaming? Here’s a build we feel uses quality components while maintaining an emphasis on performance. The release of AMD’s Ryzen brought a lot of discord into the gaming community. On the one hand, the processor is a huge upgrade for AMD in every area. For others, the slightly lower performance in various games at 1080p was enough to completely write it off. Yet, the Ryzen processor is similar in speed to Intel’s Broadwell-E. So, it’s still fast. Really fast. We tested the Ryzen 7 1700 in a number of games and were pleasantly surprised by the overall performance. Additionally, the 8 cores and 16 threads are something we’re very excited about. Not only does this make it a great editing PC, the extra cores also give some longevity to the build itself. As games continue to capitalize on additional cores and threads, Ryzen will shine against processors with fewer cores. Even if that doesn’t happen quickly, we think there’s a lot to like about this processor from AMD right now. So you’ve got a budget of just under or around $1,000. What are the components you should choose at this price point in 2017? Here’s a quick parts list with what we think about each pick below. 8 cores and 16 threads with solid gaming and editing performance. A decent motherboard to overclock without the X370 price. The Ryzen 7 1700 seems to really like faster ram. So, we're getting a good kit here that shouldn't have any XMP profile issues. 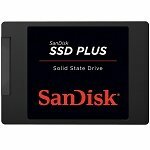 Add $50 for an nVME drive here. Mini versions are cheaper. The RX 470 is definitely a value budget option here. We don't have a ton of money for a case, so the 200R is a good value option. 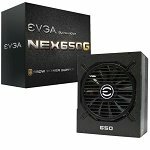 See NewEgg Price The wattage estimate for this build is only 299W. However, 550W is the lowest capacity for this model and the 650W is cheaper right now. Spending over 30% of our overall budget on our CPU means that we’re giving it more weight than our graphics card. As this build will double as an encoding, editing, or streaming machine, it definitely seems like the appropriate route. 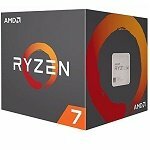 The Ryzen 7 1700 is my favorite of the Ryzen processors so far because of its price to performance. With an overclock to 3.8 to 4GHz, this $300 Ryzen 7 1700 processor can get nearly identical performance to the $500 1800x. However, in order to do that, you’ll need to use something other than the stock wraith cooler. That being said, the wraith cooler is good enough to get your processor to at least 3.4 or 3.5GHz (Depending on your chip it might even go to 3.9GHz). So, if you don’t have the budget for it, there’s nothing wrong with going stock here. Still, something like the Noctua NH-U12S CPU cooler should allow you to get the most out of your Ryzen 7 1700. For $50, this is most likely worth it. However, it will likely you put you over the $1,000 budget for this PC. 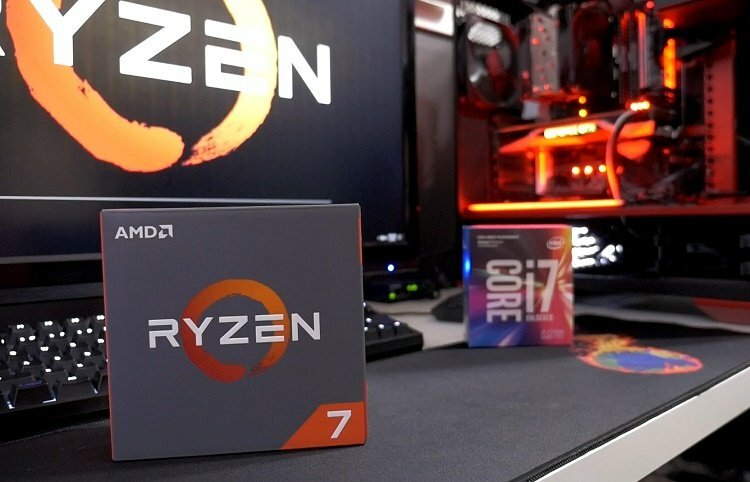 For benchmarks, we recommend you check out our post; AMD Ryzen 7 1700 vs Intel i7-7700k. Additional 3D rendering benchmarks can be found here. We’ve got around a $200 budget overall for our graphics card here. Ultimately, you can decide how much, or how little you want to spend. However, for the $1,000 budget, we’re recommending the GTX 1060 6GB. For gaming, I feel like it’s a better performer overall when compared to the RX 480. Yes, there are a few DX12 games where the RX 480 shines; however, on the whole, the GTX 1060 is more well rounded. If you can find one on rebate it costs around $230. Mini versions of this card tend to be cheaper as well. 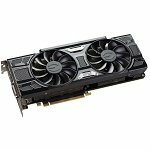 A more budget option here would be the RX 470 4GB. It gives you fairly similar performance, for about $60 less. Your choice here has a lot to do with the types of software you use for editing. So, taking a look at GPU editing benchmarks is a good idea for many of you. Unfortunately, it’s impossible to fit everyone’s needs here. Our motherboard budget is around $110. 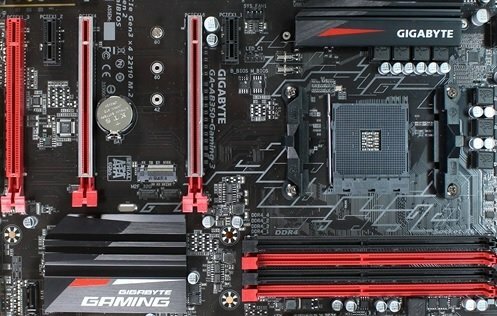 For that reason, we’re going with a B350 chipset motherboard in the Gigabyte GA-AB350 Gaming 3. 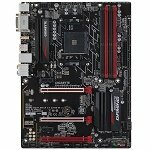 This board has support for dual channel memory up to 3200MHz OC. With the right CPU cooler, you should also be able to overclock your Ryzen 7 1700 to around 3.8 to 4.0 GHz. If you’re curious, here’s a look at our top B350 AM4 motherboards for Ryzen so far. This is a no frills motherboard with an attractive red and black design that has plenty of features for most builders. Specs include a dual Bios, M.2 support, Crossfire support, and plenty of SATA Ports and USB. The board also has a LED strip that you can modify. If you prefer a board with a few more features, be sure to check out our review of X360 motherboards. It’d be nice to go for an NVMe drive here. So, if you’re willing to spend around $50 more for the same capacity, you can switch out the Sandisk SSD Plus 240GB drive we’ve recommended for this build for a Samsung 960 EVO 250GB one. The speed boost will certainly help for daily work. 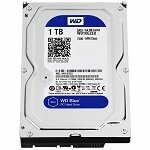 For additional capacity, we’re going with a 1TB WD Caviar drive. It’s cheap, reliable, and fast. If you truly are using this as an editing and gaming PC, you may want more storage here. That being said, many of you are coming from an old PC that you may be able to draw some storage from. It’s been shown time and time again that Ryzen likes faster memory. So, I’d recommend you’d go with a well-known kit here that has high speeds. Considering that a 3200MHz kit is just a bit more expensive than a 2100MHz one, you’ll definitely be getting your money’s worth. The kit I’ve chosen for this build is a Corsair Vengeance LPX (2x8GB) 16GB one. 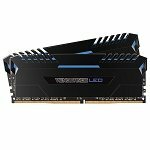 As some kits at this point in time are having trouble with XMP profiles, going with something as well known as Corsair’s LPX should get you close. If you want to be sure and get 3200MHz speeds see our list of top AMD Ryzen memory kits. We’re going with the Phanteks Enthoo Pro here. Clearly, you can spend as much or as little as you want on your case. We like the mid-range price, features, and quality of the Phanteks Enthoo Pro. It’s one of our top options for full towers. However, you’ll likely only have a budget for a $50 case. So, if you’re sticking with the $1,000 PC build theme here, we like the Corsair 200R. It’s one of the most popular value choices in the $50 range. Admittedly, you could slack a little bit here and be alright. However, I’ve never regretted purchasing a tier 1 power supply. Of those, right now I like the EVGA SuperNOVA NEX series. It has 80 plus gold certification for excellent energy efficiency. In addition, it should last you a long time. For capacity, you could go less than the 650W I listed above if you don’t plan on future upgrades. However, I’d rather be safe than sorry. 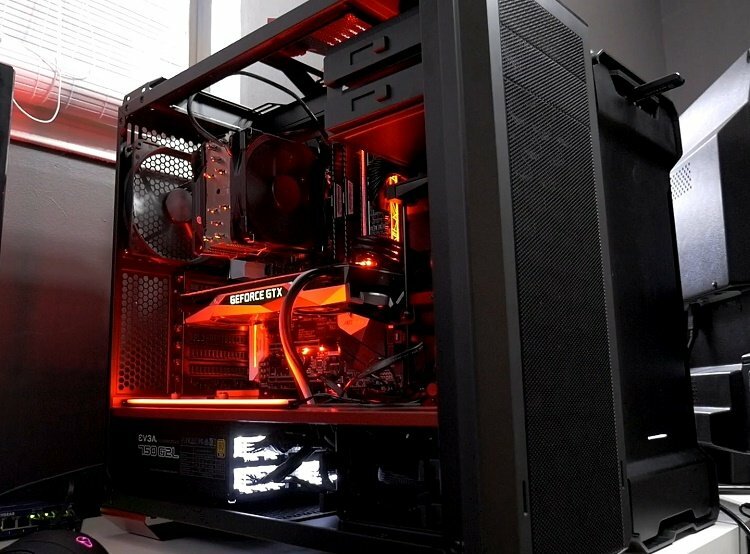 Overall, we really like how much you get with a $1,000 in this gaming / editing workstation. It’s fast and should last you a long time. If you’re building your own editing PC for the first time, be sure to ask any questions you might have below. We’ll try to respond as quick as possible.